Rich experience of I.T. Distribution/Retail & Key Account Business . 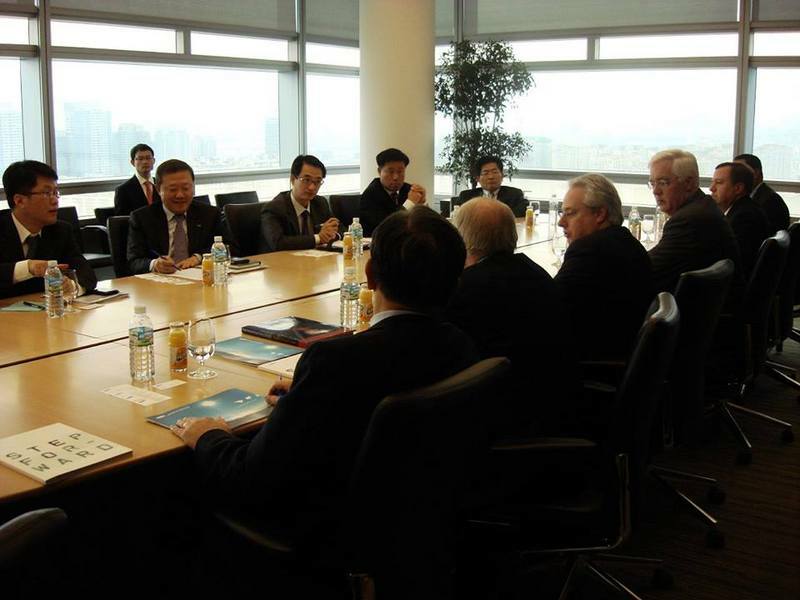 My objective is to use my this experience to take further big responsibility in the same trade line. Appropriate store management e.g. supply, demand, forecast, ST/SO evolution, etc. in store level. Implements sales target at store level & resolve any sales/commercial issues. Implements schemes/incentives/promotions to drive counter sales. Monitors Store Sell in, Sell Out,stock levels and ensures product availability. Manage In Shop Representative [ISR] performance at the outlet level & organize workshop, provide time to time training in terms of new technology/products/selling skills with practical in-store demonstration. Ensures BTL/Demand generation activities are properly implemented at the store level. Monitor and ensure proper utilization of merchandising and in-store demo units. Maintain strong relationships with local CFA/T-1. POB Generation/T-2 [Sub distributor] & geo expansion. Resell channel coverage & T-3 expansion with depth & breadth of sales . Stockist wise monthly business plan & execution. Manage & control inventory of T-1 &T-2 channel partners through initiatives around T3 expansion, retail, Geo expansion & Customer acquisitions. Inputting to Demand Planning through efficient Sales Forecasting (by SKU) for the territory. Planning Sell In / Sell Out, CRM activities and analyzing business trends. Focus on market share, e.g, partner/counter wise Share of Wallet. Drive business development through an optimal and effective distribution network. Actively drive -Execution of market schemes,ATL/BTL activities. 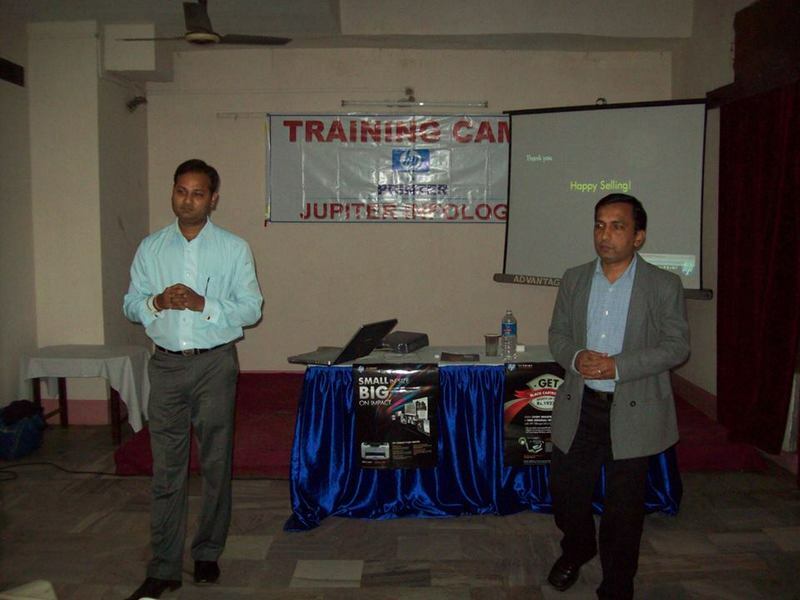 Organize partner meet, provide time to time training to partners in terms of new technology & products. Account Strategy - deep understanding of accounts business - use insights gained to create account strategy and translate to a quality account plan. Account Focus - identify key focus areas for execution. Account Goals - establish clear mutual objectives and measurable goals. Account Strategy - strike appropriate balance between short-term and long-term objectives and detail key tactics to employ. Account Drivers - define ‘Big Bets’ and create excitement and energy with the accounts for joint execution to derive mutual goals. Evangelize products/devices/services - package & present ‘The Pitch’ Develop & execute on account-specific value propositions that link the value of our products/devices/services with the accounts objectives . Operate efficiently and attain the status of ‘Trusted Advisor’ with the Managed Accounts. Exploit the right opportunities with the right account on the right timelines . Account recognizes value and includes us in business planning cycles and quarterly business reviews. Anticipate competition and create proactive action plans . Actively mine for future opportunities, assess risks, dissect and learn from key wins/losses. Longer-range strategic thinking and planning - develops 3-year account plan. Organize end customer seminar & partner meet, provide time to time training to top partners in terms of new technology & products. Business Manager – Key Account & Strategic Business . Product Handel : PC/Printers/Server/Storage, Network , Biometric, Security & Solutions. Cultivate CXO level relationships with Consultant/Channel Partner, System Integrator. Representing the company in a manner that builds trade quality and enhances a positive perception of business partnerships, to ensure proper and sufficient support exists within the company for sales and marketing efforts, help foster an environment of teamwork and participation. Pro actively work with various project leader / consultant of Govt/PSU/BFSI key account & corporate house to position focused products/solutions, understanding customer competition, partner and solution landscape. Pre Sales - Manage proposals (RFP) end to end including the win strategy: Manage Pre-Qualification & Technical Compliance criteria from prospects customer requirements , Key drivers and challenges identification, Solution conceptualization, Providing strategic inputs to the bid response controlling the flow and approach, Bid management and driving of multiple teams and experts to build a synchronized and coherent response, Bid defence and customer front end as needed. Revenue generation by re-actively work in tenders through and grab run rate business from channel partners/Sis/SMB. Forecasting - Anticipation of happenings in advance for proper planning and accurate business forecast. Handle sales, commercial and accounting functions at branch level and achieve management expectation. Review & Reporting - Conducting a structured formal review of team members on a weekly basis, as well as, appraisal of team standing versus projections and preparing reports accordingly. Team Lead -Setting high standards of performance for the Sales team. Influencing and supporting sales individuals to successfully execute their plans and provide timely coaching and feedback to individuals in sales teams. Reviews and provides counselling on account-team deals, Leverages personal sales experience to participate in pursuit planning for key accounts, Strengthens the alignment of account-team activities and priorities with managements business mission and goals, Proper team & self development through effective planning, leading, organizing, monitoring, reviewing and controlling of information and group. N.E- APDRP & Assam SDC, Bihar-SDC & CCTNS, Jharkhand-Commercial Tax, SDC,SSDG, W.B – Commercial Tax & IFMS, Allhabad Bank – FI / Network Extn., UCo Bank-FTM / FI / MLP & UBI-CBS / IP Telephony, SCI-IT Infra, NIT- Rourkela, NIT-Silchar, IIT-Guwahati, Nalco-Network, & Tata-VC & Network . Business Increased from 11 Cr. to 56 Cr during 11 months. Business Development Manager – Strategic Channel & Key Account Business . Product Handel : Personal Computer, Monitors, LFD, Printers, Projectors, Thin Client & Display Solutions. Proactively develops and nurtures solid CxO-level relationships in key accounts [Govt/BFSI/PSU] as a basis for expanding company's business-partnering presence. Manage Technical Compliance in RFP criteria from prospects customer requirements understanding key drivers and challenges identification, solution conceptualization, providing strategic inputs to the bid response controlling the flow and approach, understanding customer competition, partner and solution landscape. Solidifies an enduring partnership with key accounts through such strategies as active monitoring of customer satisfaction, speedy problem resolution, and advance communication of beneficial company initiatives or solutions. Resource Brokering/Allocation Collaborates across company within the field to access, facilitate and direct the use of resources needed for effective selling. Manages the top- and bottom-line monitors discounts and margins involved in individual deals to align them with group performance. Builds stronger internal relationships with other groups to ensure seamless selling of total company solutions and to establish clear expectations for resource alignment and support develop effective counter-measures and messages. Builds clear strategies for working with key accounts to pursue and close major opportunities, including clear identification of tactics for accelerating progress through the pipeline . Actively manages business plans to meet revenue goals/quotas and advance the business interests of company determines if an opportunity is profitable for the company. Forecast/Budget Control Tracks and manages rolling forecasts and budgets to ensure timely and accurate roll-ups . Pipeline Management Builds, monitors and orchestrates sales pipelines to ensure continuous population of near- and long-term opportunities Balances quick wins against longer sales-cycle opportunities to ensure both immediate wins and long-term profitability for company. CCTNS- Assam, Jharkhand, Orissa, Meghalaya & Mizoram . SSDG- Jharkhand, Orissa, Assam, Bihar, Sikkim & Mizoram. Annual Rate Contract- AMTRON, WEBEL, BELTRON, ZEDCL, UCo Bank, Allahabad Bank, SBI, United Bank, Axis Bank, ITC,IOCL, MCL, CMPDI, NTPC, Airtel, MTS, Tata, Reliance, Vodafone,etc. NRHM-Bihar, Assam, Mizoram, Orissa & W.B. Education Dept - [OPEPA]-Orissa, SSA/ICT- Bihar, Assam. Break through A/c- NALCO, SAIL, East Cost/ SE/NF/Metro Railway, JSW, AAI, DRDO, CCL, L&T, ONGC , PPT & NIC. Market Share increased 78% from 24% for Samsung LFD/Panel & 37% from 11% in Govt,BFSI & PSU account for printers in East India. Business Manager – Key Account & S.I Channel Business . Product Handel : Personal Computer, Printers & Peripherals. Cultivate CXO level relationships with Govt., PSU, Corporate, System Integrator, Channel Partner. Key A/c representing the company in a manner that builds trade quality and enhances a positive perception of business partnerships, to ensure proper and sufficient support exists within the company for sales and marketing efforts, help foster an environment of teamwork and participation. Pro actively work with various Project consultant of Govt/PSU/BFSI key account & corporate house to position HP products/solutions & assist to prepare RFP for future project. Revenue generation by re-actively work in tenders through and grab run rate business from channel partners/SIs. Grow, develop and manage a set of channels partners who consistently meet and exceed their commitments to the organization. Maintain high level of rapport with tier-1 & 2 to ensure channel affinity and channel loyalty towards HP. Drive initiatives in the region like new partner development, 3T/FT management, Training, review, Track competitor activities and make recommendations to HQ / APAC management on. Establish sales forecasts monthly and review actual results and variances from plans, taking corrective action as required. Proper team & self development through effective planning, leading, organizing, monitoring, reviewing and controlling of information and group. Conducting a structured formal review of team members on a weekly basis, as well as, appraisal of team standing versus projections and preparing reports accordingly. Consistently achievement against region revenue forecast / target / management expectation , in each SKU along with 42% YOY & 22% sequential growth in FY 2010. Annual Rate Contract- ONGC,IIT, AIRCEL, GU, Airtel, Tata, Reliance, AMTRON, WEBEL, ZEDCL, ITC, Excide, IOCL, NTPC, etc. 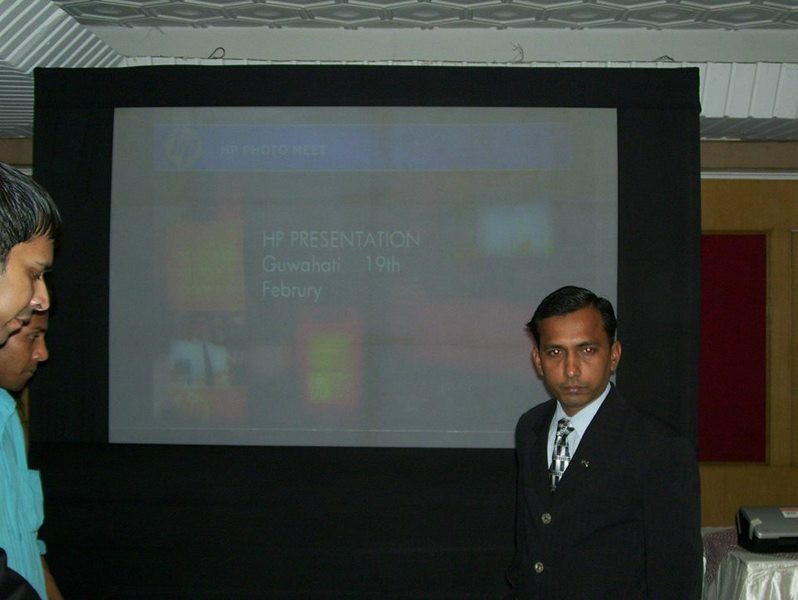 Awarded as the recognised as the Best Manager of H-FY-2010 By HP-India with last performance rating K [Key performer]. Successfully lunch BIJ Seeding program first time in India. Channel Sales Manager – IPG Division - Consumer Channel Business. Grow, develop and manage a set of distribution network & channel partners who consistently meet and exceed their commitments to the organization. Maintain high level of rapport with tier-1 & 2 to ensure channel affinity and Channel loyalty towards HP. Achieve market-share leadership in key markets as well as achieve/exceed revenue targets on a year on year & sequential growth basis. 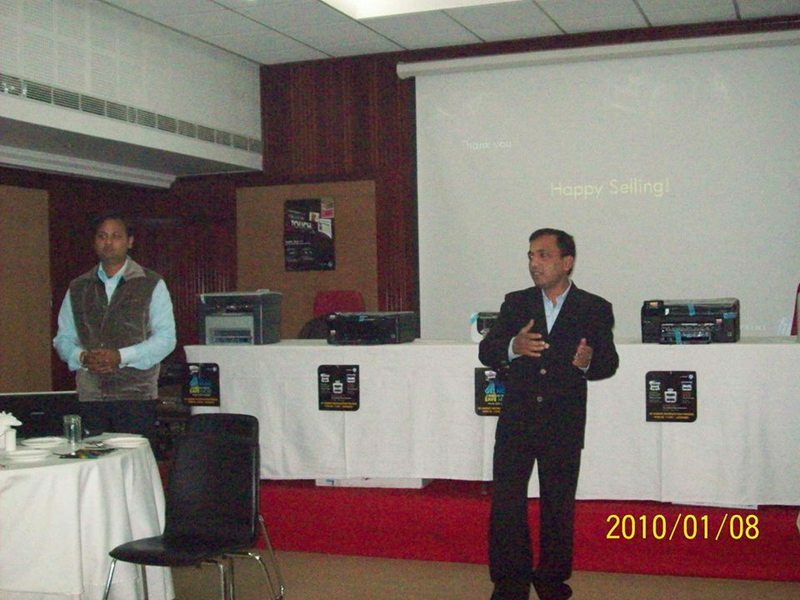 Develop new markets/channels and launch new products to achieve sales volume and HP market share goals. Maintain and drive strong business fundamentals relating to maintain region unit and revenue forecasts that accurately reflect future demand within the region, channel inventory, claims processing, A & P fund utilization on ATL & BTL , develop and maintain budget and expense controls. Interact positively with country / category / Vertical head within organisation to achieve goals and in cooperate with the management, plan and establish sales goals and strategies e.g, secondary sales & final tier engagement plan to maintain WOS. Appropriate business management is achieved at store level (e.g. supply, demand, forecast, ST/SO evolution, etc). Drive initiatives in the region like new channel development, 3T/FT management, Training and Branding/Merchandising, Track competitor activities and make recommendations to HQ / APAC management on. Cultivate high-level relationships with key accounts and priority customers, representing the company in a manner that builds trade quality and enhances a positive perception of business partnerships; Penetrate new accounts at the senior level; interface with other key functions, as necessary, to ensure proper and sufficient support exists within the company for sales and marketing efforts; help foster an environment of teamwork and participation; and work closely with Product, Channel Marketing and training to maximize the Hewlett-Packard value proposition. Work with the SME / Corporate channel partner to position HP in their product / solutions and increase awareness of the HP product portfolio & solutions. Consistently achievement against region revenue forecast / target / management expectation , in each SKU along with 31% YOY & 10% sequential growth in FY 2009. Market Share increased 82% from 43% in North East India. Upcountry market grown more than 800% . 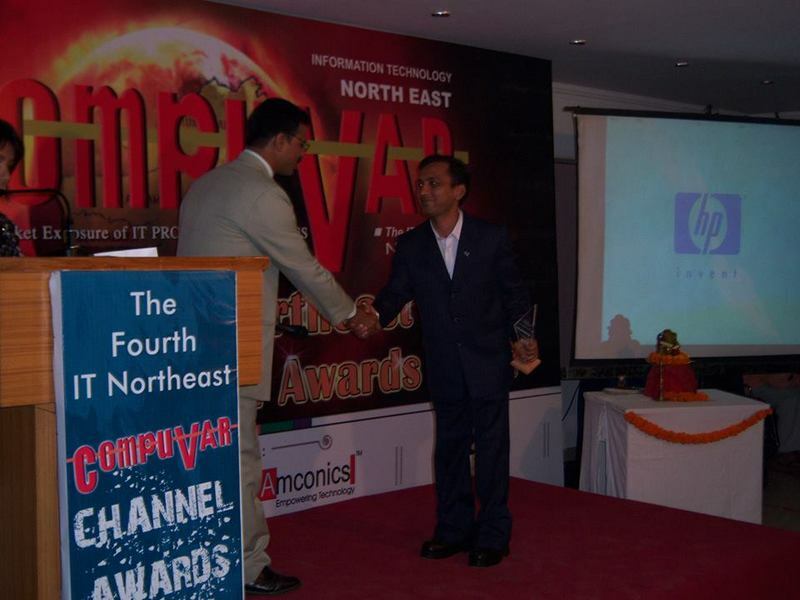 Recognized as The Most Popular Manager, The Most Happening Vendor by CompuVAR Channel Awards in FY 2007 , 2008 & 2009. 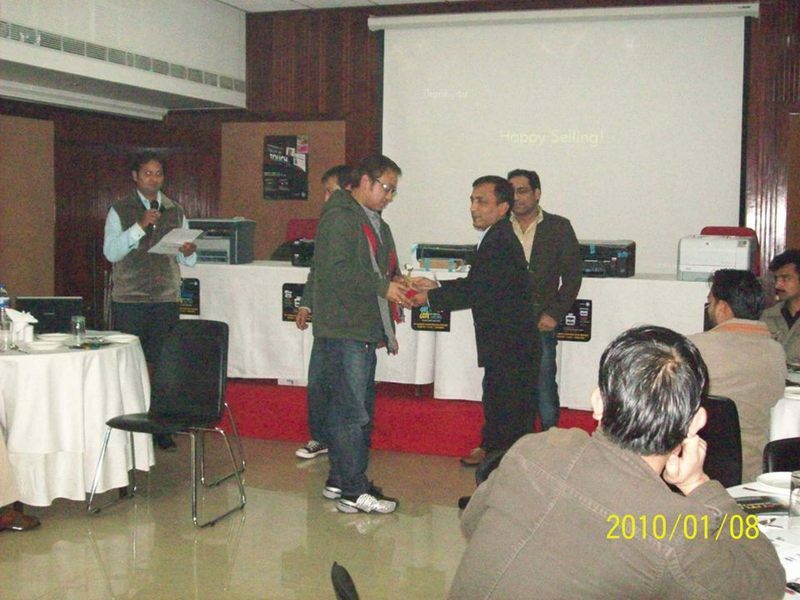 Awarded as the Most Valuable Player [MVP] in FY 2008 recognised as the Best Manager of H-FY-07/08/2009 By HP-India with last performance rating K [Key performer]. Product Handel : Personal Computer. 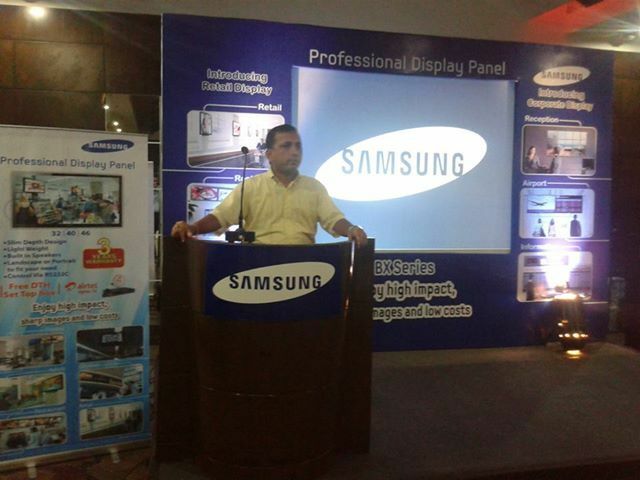 Responsible for channel, SME business along with education a/c management. Explore, identify and forge new B2B and B2C opportunities and forge new alliances that contribute significantly in revenue growth/ new business opportunities. Create and launch solutions for education, government, and enterprise businesses based on HCL technology and value proposition. Updating Regional Enterprises Head on competitor moves and strategies in account. Working with Pre-Sales to develop customized solutions for the account. Managing and building client relationships for business development and maintaining high levels of customer satisfaction during the product delivery process. Overall management, operational and performance responsibility (scaling up and delivery) of accounts. Primary measurement is profitability, is also responsible for revenue, signings, opportunity identification and creation and Customer Satisfaction. Develop strong relations with OCAC, East Cost Railways, SME & Education account of Orissa. 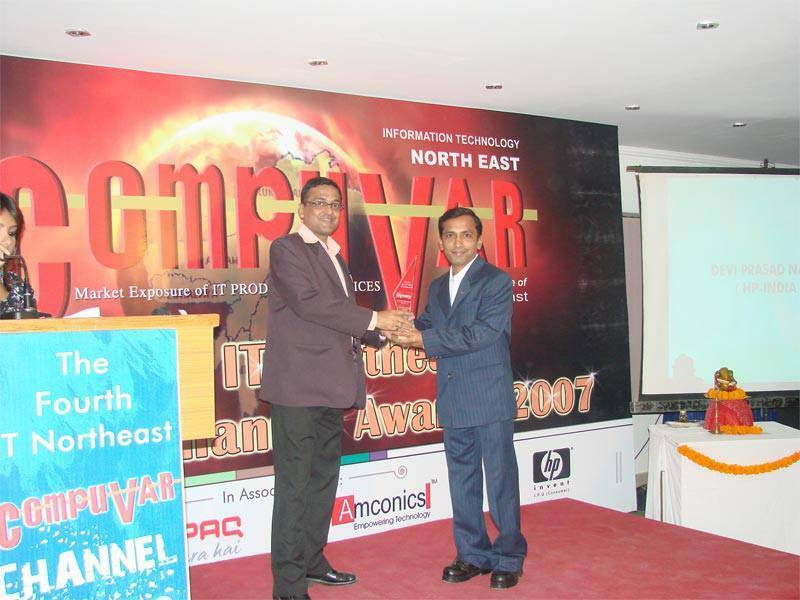 Effectively developed Western & North Orissa SMB & Educational accounts . State Sales Head –Direct Business. Based At Delhi [For Haryana, West UP, Uttaranchal & NCR] . Opportunity identification in SMB, enterprise/corporate, follow the organization sales Process, track sales funnel and lead the team towards maintaining the requisite funnel in order to revenues and collections. Initiating / developing relations with key decision makers in target organizations for business development effective relationship Management with significant clients to ascertain rendering of quality service and business retention/enhancement. Promote Zenith Products to corporate directly. Benchmark, map the existing and new clients for new and expanded business opportunities identifying corporate/institutional accounts in Govt /PSU’s and strategically secure profitable business. Identifying client business issues, building strong relationships with senior management of client. Rising Star of the year 2003-2004. Area Sales Manager –Channel Business. Based At Bhubaneswar [For Orissa]. Primary function to generate sales with numbers in channel and solutions to direct customers in assigned territory. Achieving sales objectives for the entire state. Created and implemented various trade schemes, i.e., sales promotions and incentive programs. 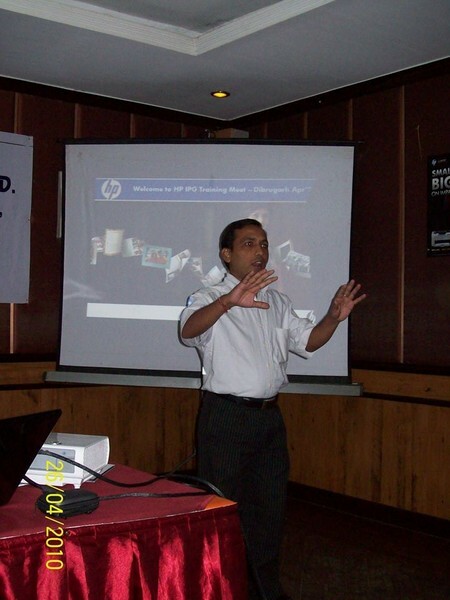 Development and implementation of brand management strategies & warehousing activities. Co-ordinate information flow management pertaining to sales and Service departments. Sales growth in channel sales compare to previous year. Develop new dealer network in region. Drive Zenith architecture platform adoption widely across channels. Deliver technology & providing technical training through Channel partners such as Zenith Exclusive Retailer [ZER], Dealer & Distributors. Drive Zenith architecture platform adoption widely across Orissa channels. Branch Manager – Distribution & Channel Business. Based At Bhubaneswar [For Orissa] . Product Handel : Personal Computer, Printer & Monitor. Coordinate with Business Vertical Heads and their supporting staff to control and monitor performance of the field sales team to help them achieve sales and collection targets. Coordinate with HO Logistics team to ensure availability of stocks for achieving sales targets. Manage inventory to ensure that there is minimum loss on account of bad handing, storage, transit damage, etc. Coordinate with HO and local advocates for all Sales Tax and other legal matters. Bring about improvements in disciplined working and ensure that all company policies are adhered to & Coordinate with HO Finance & Accounts, Personnel and Administration and HR on all matters. Strengthen relationships with all Channel partners, primary and secondary and other Business Associates. Responsible for handling entire branch in planning & executing the growth of sales in the branch and increasing the sales through channel sales .handling the sales, service and branch operation. Developed Western & Northern markets of Orissa, Collect over dues payments, streamline payment cycle & able to make the branch as profit center during year 1999-2000. Distinction of developing 130 new dealers & micro re-seller through out Orissa. Instrumental in increasing sales by 4 times more. Passed with first class 78% aggregate marks. Passed with first class 74% aggregate marks.